UNDIVIDED ATTENTION. 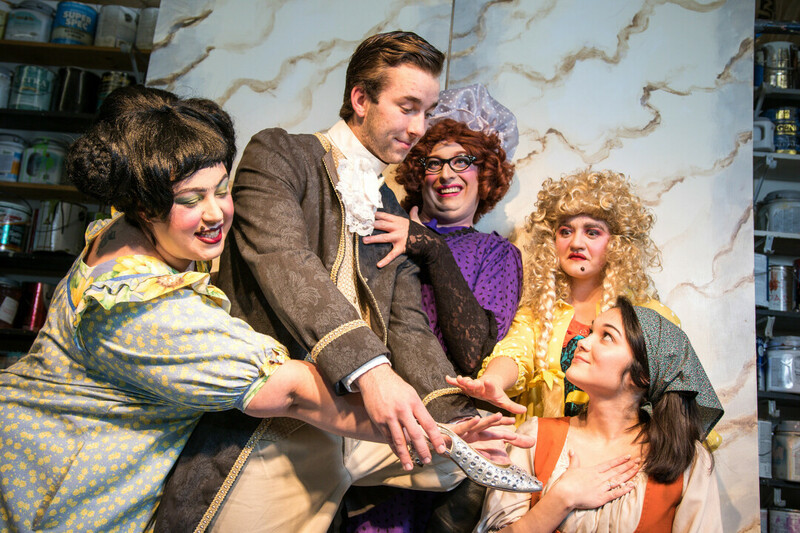 Not even a slew of evil step-relatives can stop Prince Charming from finding his true love in Cinderella, ECCT’s first performance at the Pablo Center at the Confluence. Ladies and gentlemen, be prepared for a magical holiday experience – the first of its kind to debut at the Pablo Center at the Confluence – as the Eau Claire Children’s Theatre puts on a special production of Cinderella Nov. 16-18.This production is the first by the ECCT to be performed at the Pablo, and according to Executive Director Wayne Marek, it is the first time this particular version of Cinderella, which is modern and holiday-themed, has been put on in Eau Claire. Marek said this production, written by John Davidson with music by Victor Zupanc, was originally produced by the Children’s Theatre Company in Minneapolis as one of its rotating holiday shows. "This is a more elaborate fairy tale for us because of the size of the sets and the special effects involved with the various transformations in the show with set pieces and costumes." There are video elements to the show as well as places for audience interaction, he said. Another unique element is the narration of the story: It’s told through flashbacks as an old man tells his granddaughter and other party guests the story of Cinderella, and scenes from the party include several traditional Christmas carols, making it a perfect holiday show. Cinderella’s cast includes several familiar faces from past ECCT productions, including other productions of the classic tale. Steve Turek, Laura Robbins-Leisz, Jeffrey Peterson, Kevin Grady, and Joe Burger are all old hats. An ensemble of kids, young people, and adults help bring the story to life, including Castle Dettinger, Tehya Johnson and Michelle Markquart, who played the title role when the Rodgers and Hammerstein version of Cinderella opened the State Theatre back in 1988. Shows are The Pablo Center at the Confluence in the RCU Theater on Nov. 16 at 7:30pm, Nov. 17 at 1:30 and 7:30pm, and Nov. 18 at 1:30pm. Tickets are available for purchase at pablocenter.org.